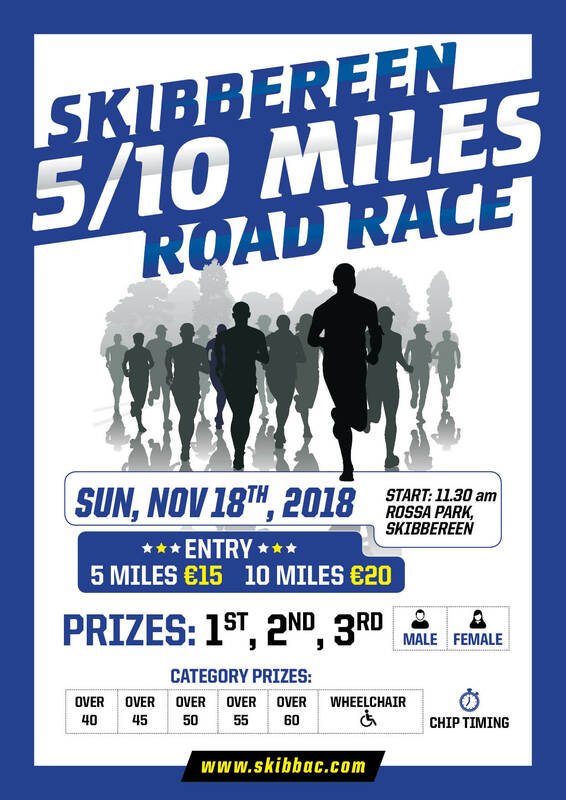 Skibbereen Athletic Club | Official web site of Skibbereen Athletic Club. Featuring the latest news, results, fixtures, pictures and more! Skibbereen Athletic club has it’s training headquarters at Baltimore Road Skibbereen where it shares facilities with Skibbereen Soccer club. Facilities include a 400m track, a newly installed state of the art long jump, as well as a new hammer cage. The club caters for all age groups, Juvenile ages from under 8 to under 19 as well as Adults of all ages. The club has training on Monday and Wednesday nights form 7.00 to 8.00pm. The main aim of the club is to provide a safe environment for both Adults and children to train and keep fit and enable them to maintain a healthy lifestyle. The club catchment area extends from the Mizen Peninsula in the West over as far as Rosscarbery in the East. Athletes are trained with a view to taking part in both track and field competitions which run from April to August and Cross Country Races which take place from September to February. Athletes also take part in various road races which take place throughout the year.